At this time of year we get lots of enquiries from people who have, for whatever reason, found themselves on an unplanned gap year. The message to them, you are not too late! There is still plenty that you can do over the next few months to maximise your gap year. Over the years, the general process of a gap year has been to work hard earning money in the first part of the year and then to travel in the second part. For our traditional long-term gap year programmes, the most popular departures are in January, allowing people to earn money over Christmas. 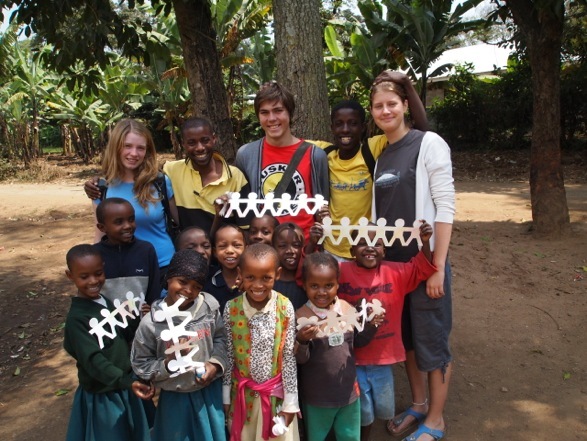 If you are still thinking about what to do with your gap year, have a think about our gap year options in Tanzania. Our volunteer programme in northern Tanzania was one of the first gap year programmes to be created in this part of the country back in 2000. 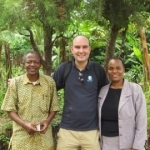 Since then we have formed links with a number of villages, schools, orphanages and hospitals around the town of Arusha. One of the great things about our programme is the degree of flexibility that we can offer of volunteers. If you want to combine teaching English with volunteering on a medical project for a couple of days a week, that’s absolutely fine by us. We encourage our gap year volunteers to stay in Tanzania for 12 weeks as we feel this gives everyone enough time to settle in and actually make a real difference in the communities that they are living in. The options we have to teach in Tanzania are particularly close to my heart as this is where I spent 5 months of my gap year between school and university. I taught English in a government primary school and this was one of the most eye-opening and inspiring experiences of my life. For me, the greatest memory was seeing how happy local Tanzanian people were. They may have had nothing in comparison to us living in the UK however they were happy with what they had. They didn’t seem to have the stresses of daily life that we are used to, everything seemed very relaxed. I was surprised that even before the invention of Facebook and social media, local people still knew lots about life in the UK. I remember, for example, sitting on a bus to town one day and having an in depth conversation to a Tanzanian about the London Underground! I learnt so much about myself and other people on my gap year in Tanzania and am passionate today about enabling people to have the same sort of experience that I had in Tanzania. If this has sparked an interest for you, there is still time to sign up to our mid January programme. The 12 week programme costs £2375 (plus flights to Kilimanjaro). This includes your accommodation, a food allowance, full support from me in the UK and from my rep in Arusha, airport pick up, Oyster T-shirt, waterfalls day trip, local sim card, mosquito net, Swahili lessons and full orientation on arrival. We can also arrange flights for you if you wish. For more information, check out our volunteering in Tanzania webpage, contact me directly by email [email protected] or call me on 01892 771972. We have lots more last minute gap year options on projects around the world. For more details, check out our blog.